Your inventory data in the cloud. topShelf is a Cloud-based inventory management software that uses your current Smartphone, Tablet, or Mobile Barcode Scanner and integrates with your current software applications. Manage Your Inventory From Anywhere, At Any Time. topShelf collects your information and stores it in one place. Keeping tabs on your business is as simple as jumping online. We use the best data encryption standards to safely manage your information. topShelf works with any Mobile CE Barcode Scanner. On iPhone, Android, and Blackberry. Your entire inventory is in the palm of your hand. Manage your supply chain, customer relationships, and work orders from the comfort of your own couch. topShelf automated e-mail messaging makes it easy to keep tabs on your inventory - you can set alerts on virtually any point in your supply chain process. Whether it's receipt of inventory to your warehouse or a product reorder, you'll always know what's going on with topShelf. Never Run Low On Inventory. You can set reorder alerts when your inventory reaches certain levels or an expiration date. With e-mail reminders, you won't get caught with your pants down - you'll always have what you need on hand and ready to ship. Set assignments, develop next steps, and manage users at the click of a mouse. Prevent problems before they occur by being able to replace product before your inventory is gone. See what to expect based on your specific information and industry trends, and plan ahead and predict customer needs. topShelf seamlessly integrates with your current inventory tools. topShelf works hand-in-hand with your accounting department and financial software, CRM systems, and eCommerce platforms including Quickbooks, Microsoft Office Excel, Financialforce.com, Oracle, and Intacct. At Scout, they have spent nearly ten years honing their skills to become the leading inventory management software solution. Their reputation proves that they offer accessible, professional services that will fit the needs of your business. Enjoy one-of-a-kind options like mobile access to software, inventory solutions, and more. They outshine the competition in web-based, supply chain inventory management software and many other specialized solutions. With their help, your business operations will be more efficient than ever before. It's Mobile. Take it With You! Because topShelf is Cloud-based inventory management, seeing and managing everything is as simple as jumping online. Even more, topShelf inventory management is mobile - you can access your inventory from any mobile device, tablet, or scanner. Integrate topShelf With Your Current Systems. There's no reinventing the wheel when you install topShelf - it integrates with what you already use. Even more, topShelf works in real-time to update your accounting, business, and CRM software. With topShelf inventory management software, you always know what's going on with your stuff. Stay on the Alert and Plan Ahead. With built-in tools like depletion and replenishment alerts, daily reporting, and market forecasting, topShelf ensures that you're always in the know and able to make informed decisions about your business. In addition to an uptime exceeding ninety-nine percent which ensures you're always up-and-running, we protect your information using the highest Cloud computing standards. Office Supply: our customers save between $500 and $3,000 every year. Client Retention: reduced defection and lost business equals as much as $100,000 every  year for some of our clients. Infrastructure: customers report savings  of $10,000 to $75,000 per year cost avoidance because of our Cloud-based system. Scout has the right plan for whatever your inventory needs. Press the contact us to get started! *Enterprise required for all E-commerce, CRM, or Accounting integrations. Any Industry. Any Size. Watch Our Customer's Success. 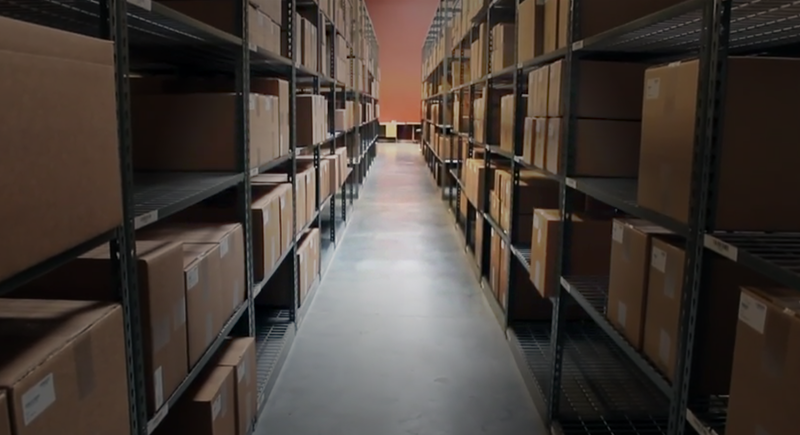 See how topShelf helped Circuitech streamline their warehouse management. Watch how topShelf improved Bell Industries' supply chain process. Large Internet Retailer - "Works exactly as promised. Our inventory has never been this accurate." Jewelry Distributor - "We did a cycle count and found over $80,000.00 in inventory we didn't know we had." Medical Device Company - "Our reps now know what we have in stock via their phone. What a great tool."